For many marketers and business owners though, this social site has remained a mystery. Lots of businesses try the site out, only to get frustrated because they don’t quite get how to connect with their market on it. The best advice I’ve heard from seasoned G+ marketers is to loose your Facebook mindset, add a bit of Twitter, sprinkle in some LinkedIn Groups, be prepared to actually network, and only then can you really start using G+. Getting traffic to your blog site is an integral part of marketing. The more you can cross-promote your content, the more eyeballs you will get. The more eyeballs you get, the more your content will be shared. The more your content is shared, the better your search rankings are, and so on, and so on. I recently wrote on post to give you tips on cross-promoting your blog with Twitter: 12 Formulas: How to Use Twitter to Drive Traffic to Your Blog. Here are nine tips on using Google Plus to drive traffic to your blog posts. If you haven’t already, the first thing you need to do to is set up your Google+ Business page. This is kind of similar to making a business Page on Facebook: you need to have a personal G+ to make a business site. You can add your location, your business category, and customize your profile image, tagline and introduction section. Include your website. Include your blog URL in your introduction section, and give a good call to action (CTA) as to why a user should visit. Include your blog site in your Links section. Circles provide an amazing opportunity to share your blog posts to targeted people. They are a way to segment G+ users that you follow. You can kind of segment circles a bit like you might bluntly do so for an email list. For example, create circles for customers, industry leaders, partners, and team, or any other categories that suit your business needs. People don’t know what circle you have them in, so you’re not going to offend. To promote your blog posts, share them with targeted audiences, and connect with them by writing specific updates for your post. 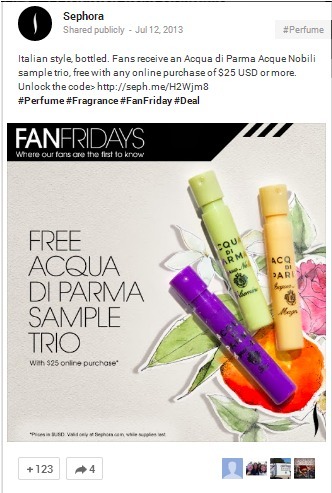 If you want your customers to read it, you could share it to your ‘customer circle’ with an update written to include prices and why they need to buy it. If you want your industry leaders to read it, you could share it to your ‘industry leader circle’ with an update written with a requests for reviews. 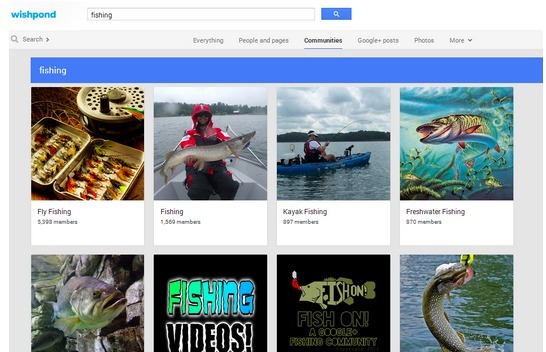 Google+ Communities provide an amazing way to expand your reach and networking online. Communities are very different than Circles. Communities are groups online - kind of like really modern, interactive forums. For a business you can also think of them like a huge marketplace where you can branch out and network with customers. Communities may not give you the same personal interaction as a trade show - but they’re a lot easier and less expensive to get to! Join a few of the groups that are most relevant to your products. Take part in the dialogues that are happening. Comment on the updates, share posts you like and +1 them. And you will quickly get to know a lot of fisherfolk. Once you’ve started to establish yourself, post links to your blog in your niche fishing Communities. Your updates will get shared, +1ed, commented on, and clicked through. Not only that - but, if you do it right, by getting to know your angler groups online, you’ll be amazed at how quickly you develop new customers too! Hashtags were introduced to Google+ just a few months ago. Use them as a way to better reach your niche market on the site. Hashtags enable you to kind of categorize your updates, and help you to get found in searches on the site. Include at least one to three tags in your blog post updates. Less is often more in hashtags. It shows you know who you want to reach, and you know the key elements of your blog post you are sharing in your update. Make tags to include really detailed subjects. The more granular you get in hashtagging, the more likely your post is going to be found, read and clicked on by your interested niche consumers. In the example, above, the hashtag “#howtotroutfish was used. They could have used #fishing #fishinggear or even #flyfishing. By using the specific fish, ‘trout’, they are connecting with that particular niche of fisherfolk. Make tags to promote a campaign. You can use hashtags to create a shared, interactive category about a marketing campaign your business is running. For example, if you are hosting a contest or promotion on your blog, create a campaign specific hashtag so that you generate more awareness of your contest, and your community can publicly participate in it too. 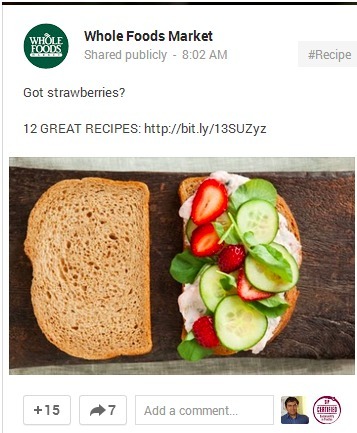 Use hashtags when posting to public posts, circles and communities. G+ updates are not restricted by word count or characters. That means you could post all of your blog posts, in all of their entirety on your G+ page. And, well, the whole point is to drive traffic to your site. If you post your entire content onto G+, you’re not going to achieve this goal, are you? Give teasers to your blog. Include a paragraph or two to introduce your subject, and connect with your market to create intrigue. You can make your posts long, by including a few paragraphs from your blog, but do create reason for people to click through to your website. Make sure that you sign up for Google Authorship to drive more traffic to your blog(s). Google Authorship helps to build your influence online, and creates a visual tie to your posts in searches. Blog posts tend to look more appealing, and trustworthy with a face beside it. That’s what you want for your business, right? It’s easy to sign up for Google Authorship. 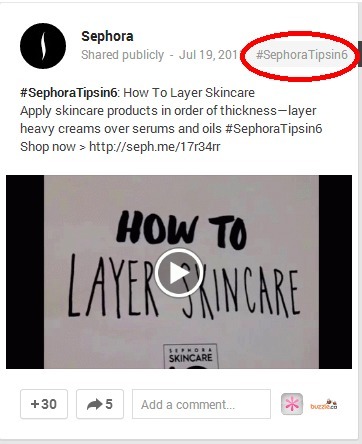 As explained by Kristi Hines in Social Media Examiner, even if you have multiple blogs, a few additions to your blog posts and G+ profile will get your profile image associated with all of your posts. Authorship includes analytics too, so gotta love that! To gain more networking, and create a tighter posse within G+, host a Google+ Hangout. You can use it in conjunction with blog posts, to get people reading your articles, and then discuss them on a weekly or monthly basis. A G+ Hangout is kinda like a webinar, or video conference - but it’s free. You can have up to 10 guests participating. Use them for other business communications too, like industry interviews, live webinars, monthly gatherings, and even as private internal meetings (ok, I used to use G+ hangouts a lot when I was freelance blogging. It was a really cool way to keep in touch with clients, and there’s no travel times/ parking issues in getting there.). You can share your Hangouts on your YouTube channel, so even more people can watch it. Hangouts are also a really cool way to network. 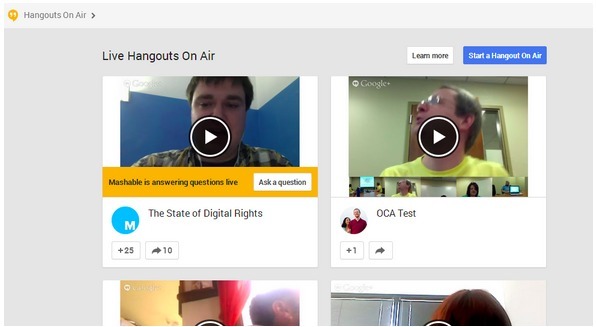 Check out the Live Hangouts on Air to see what video Hangouts are happening right now. You can listen to most of them, and if there’s an open invite, you can join in and get to know your customers a lot more. The more you get to know a core group of business supporters, the more your blog post links will likely be shared by them. Last, but certainly not least, make sure you include a +1 button on all of your blog posts. This may be an obvious point, but don’t overlook it. 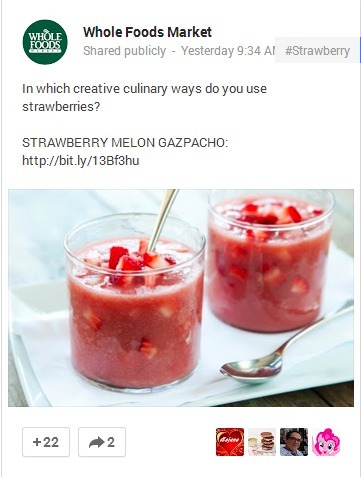 A G+ button makes it easy for your readers to share your posts to their public feed, their circles, and their communities. I hope this article has helped to demystify this massive social site a bit. For businesses who have network know-how, Google+ can be a huge driver for increasing traffic to your blog. What do you think? Do you use Google+ for your business? Will you now? What has worked for you, and what hasn’t?